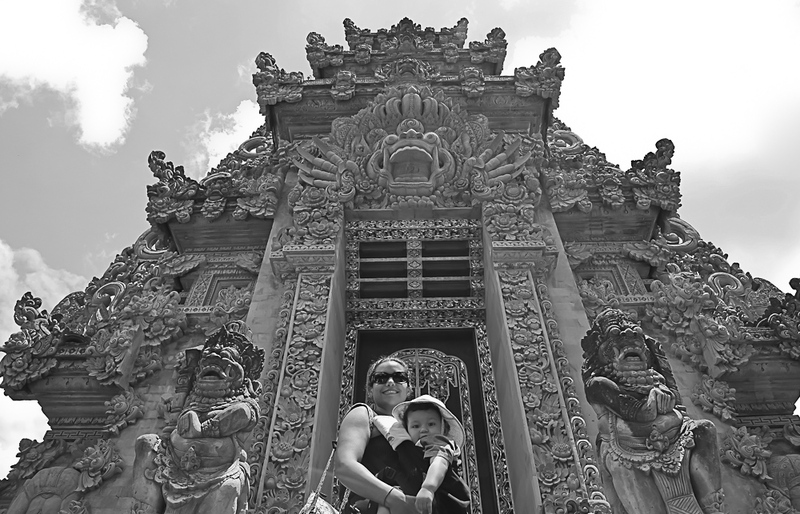 More from Bali, Indonesia | Singapore! 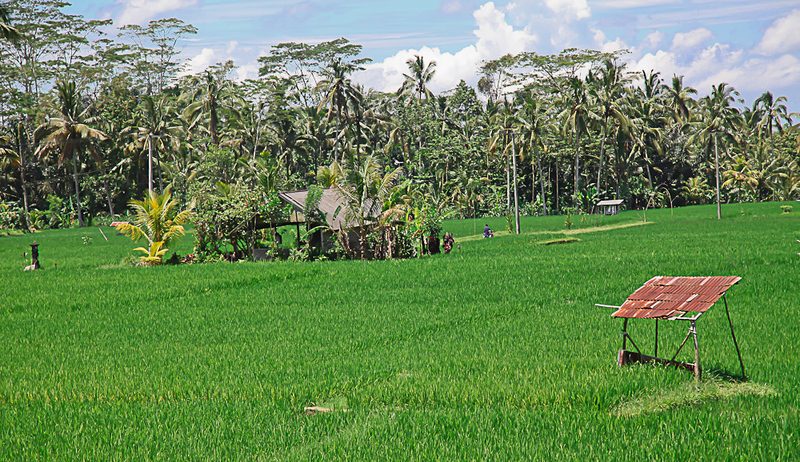 The rice paddys in Bali are absolutely spectacular. 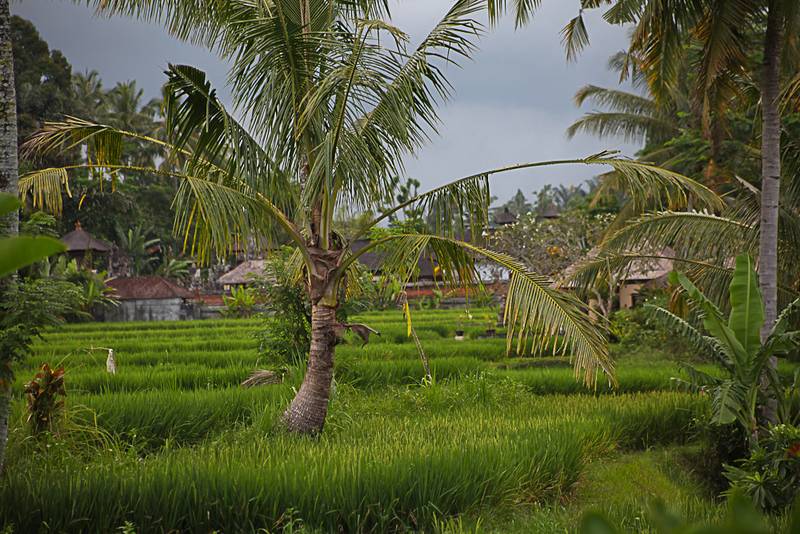 It makes the scenery so green and lush, as palm trees dot the blue sky horizon. 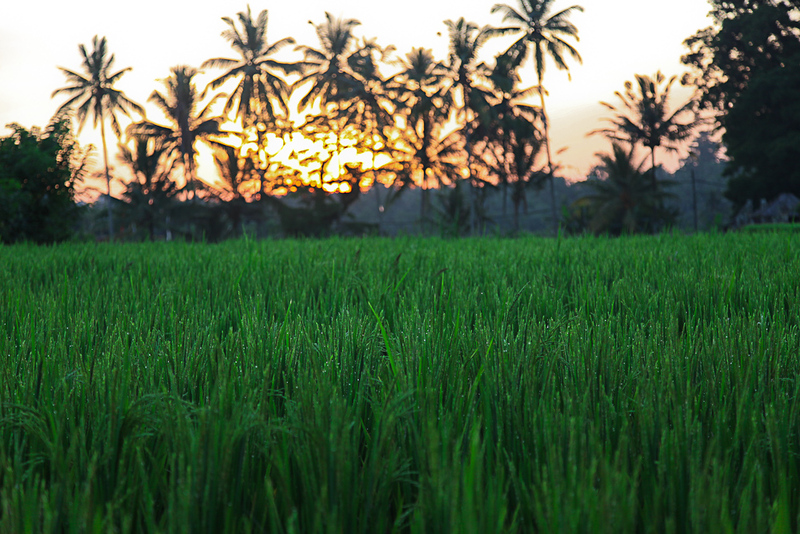 Sunset over the rice paddy. This was the backyard of the villa we stayed in. Incredible pool with incredible views. 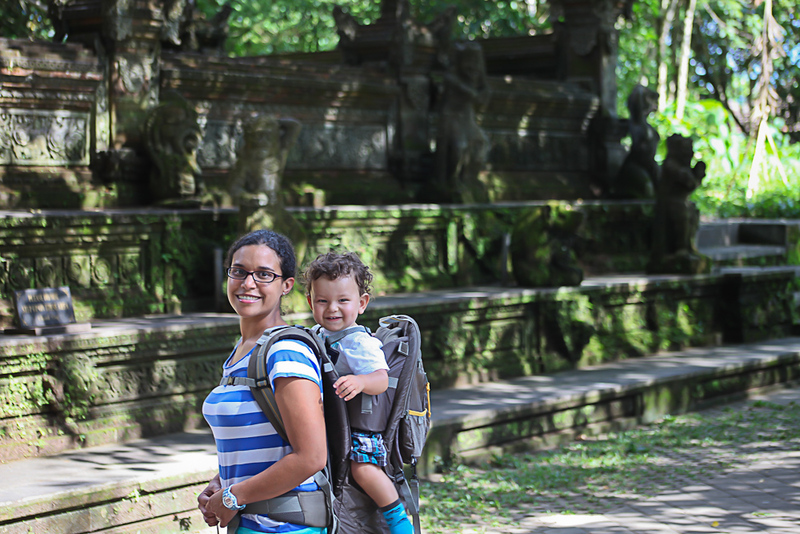 We got the chance to visit the Monkey Forest in Ubud, where literally, hundreds of monkeys parade around and pose for a banana and other local fruit. We didn’t partake in the food offering but the views around the forest were incredible. 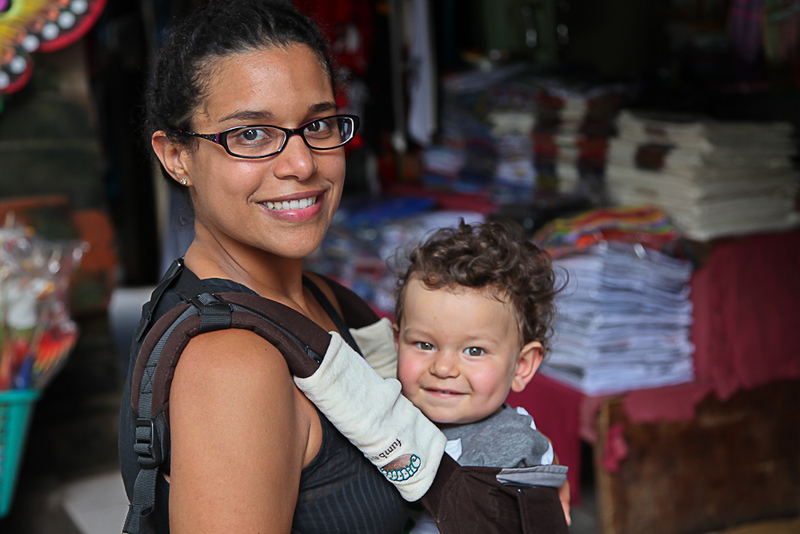 Cam always enjoys a little backpack carrier session. 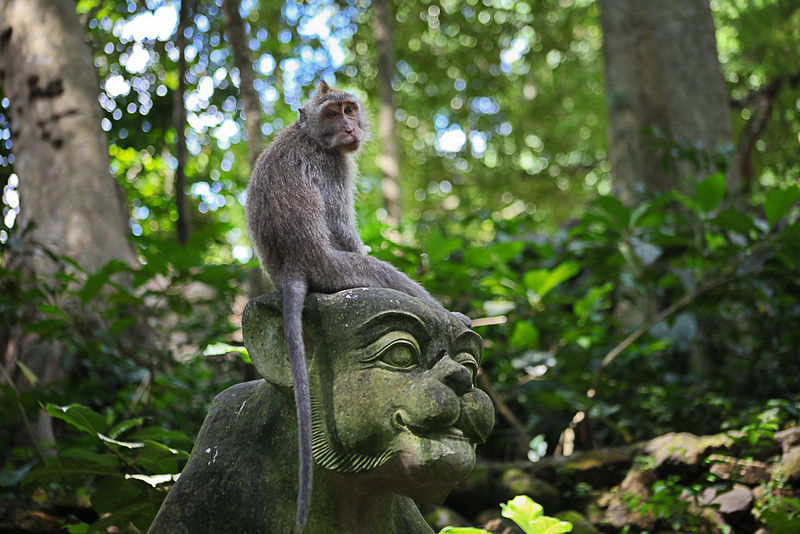 And he was straight giggling at the monkeys left and right. Hilarious. 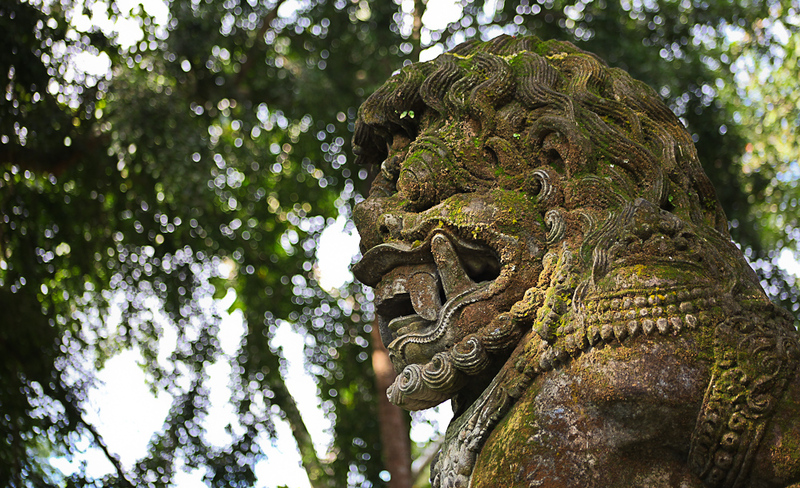 The next day we caught a trip into Ubud to peruse the markets and check out some temples. As always, Cam was having a blast. 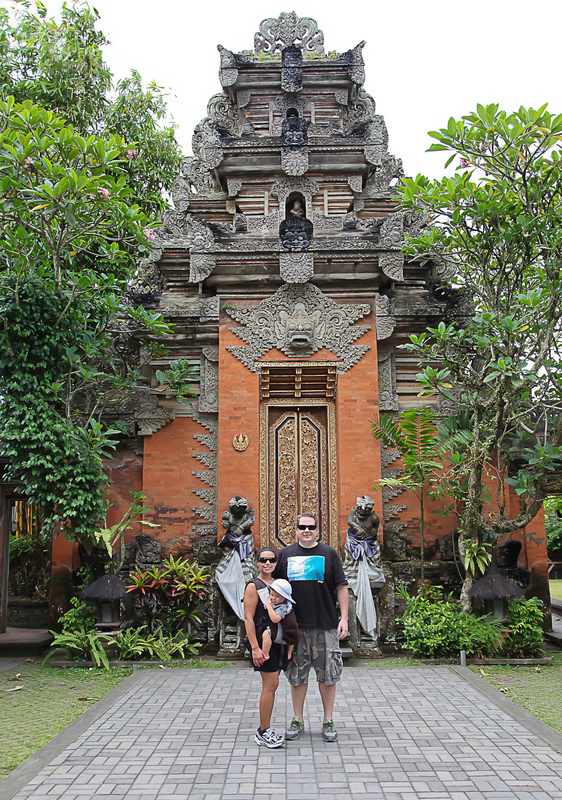 Family photo in front of the Ubud Palace! 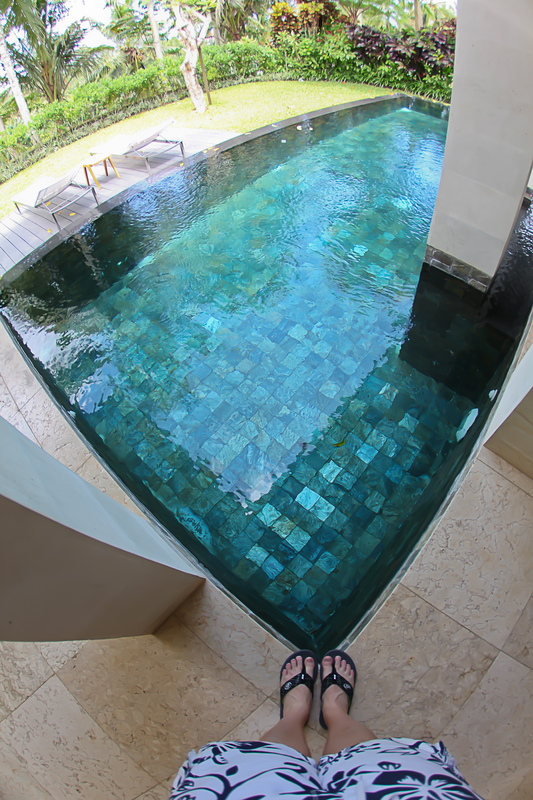 The backyard to our villa was absolutely incredible. 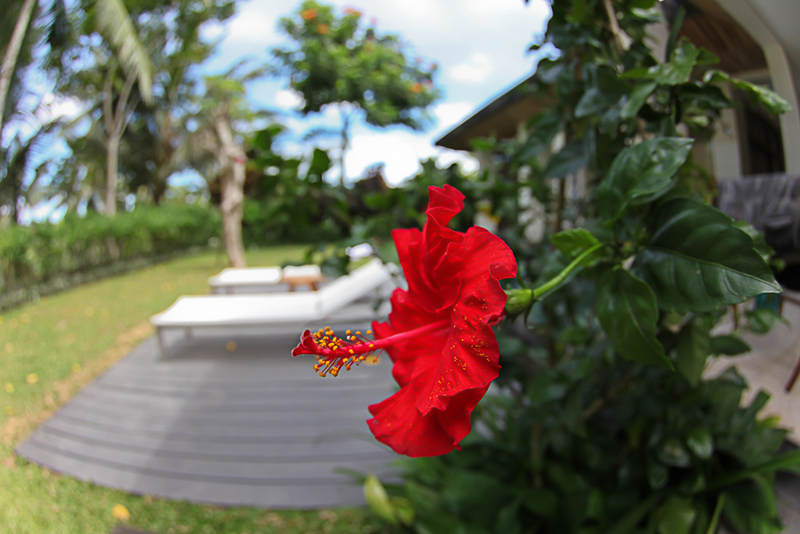 So many beautiful flowers, trees, and plants. 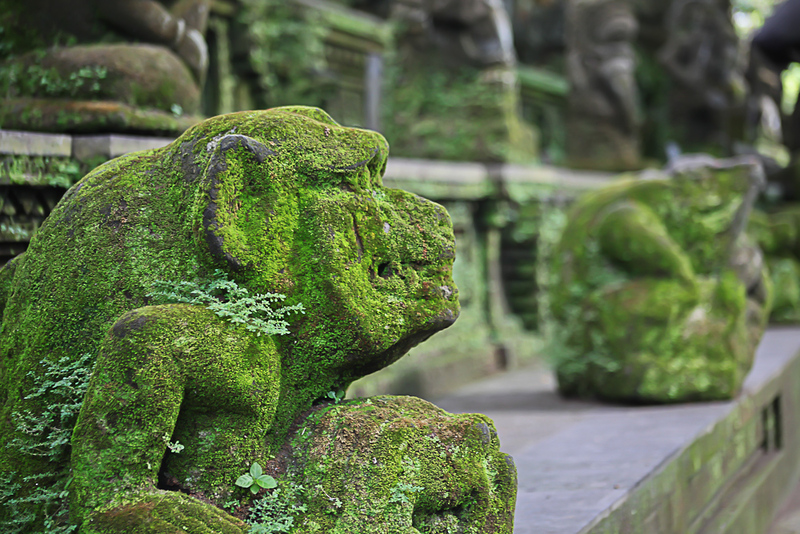 Wonderful photos from Bali. Talk about antiquity !! That area must have some wild history. You all look beautiful. Thanks for the update.